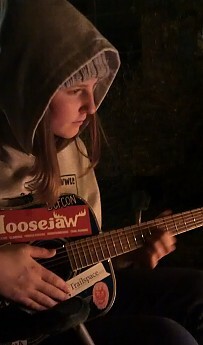 Clone #1 at the campfire this weekend strumming, singing and reppin' TS! You only get a finite number of campfires with your kids, cherish them! I think we were singing Renegade by X Ambassadors at this moment.